Here at Electronic World we offer an impressive selection of cheap plasma TVs from leading brands such as Sony, Samsung, LG, Sharp and many more. 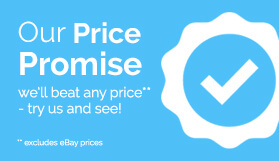 You'll be amazed by the selection of cheap plasma TVs we have on offer, and what's more, we're confident that we won't be beaten on price either. Our full HD plasma TVs offer a high quality viewing experience and produce a fantastic level of detail, colour and clarity. Our plasma HDTVs come fully equipped with an array of innovative features too, making them an ideal option for your home. We also supply a wide range of full HD plasma TVs. These models are renowned for their impressive image and sound quality, allowing you to watch all of your favourite movies and TV shows in style. 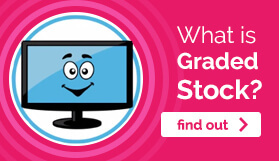 Here at Electronic World we can offer such fantastically low prices on our cheap plasma TVs because all of the items we offer fall under the term 'graded stock.' Graded TVs are brand new items that were unwanted by high street retailers, for one reason or another. This is usually because the item was an unwanted gift return, an end-of-line model, or simply surplus stock. These full HD plasma TVs arrive at Electronic World where they're fully tested by our team of engineers before being listed as stock on our website. When you take advantage of our fantastic cheap TV deals from Electronic World you get complete peace of mind. Our cracking, cheap plasma TVs all come with a full 12 month 'return to base' guarantee. So you can rest assured that should anything go wrong, you'll be fully covered, just as you would be if you'd made a purchase from your local high street retailer. 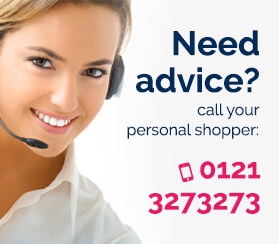 For more information about the plasma HDTVs we offer, or any of the other items in our stock, don't hesitate to get in contact with one of our friendly advisors by giving us a call on 0121 769 2623 today.